Who Will Design Charlotte Elizabeth Diana's Christening Gown? Should We Start Placing Bets? For baby couture designers, one would imagine that designing the royal baby's christening gown means you're the best in the biz. It's basically the child equivalent to designing the royal wedding gown. Now that Kate Middleton has given birth to the second royal baby, you may be wondering: who will design the royal baby's christening gown? Since Mom is such a big McQueen fan, should we put our dollars on Sarah Burton? Maybe we shouldn't start placing bets just yet, though. Rather than industry clout, tradition governs the infant dress code on the day of the royal christening. 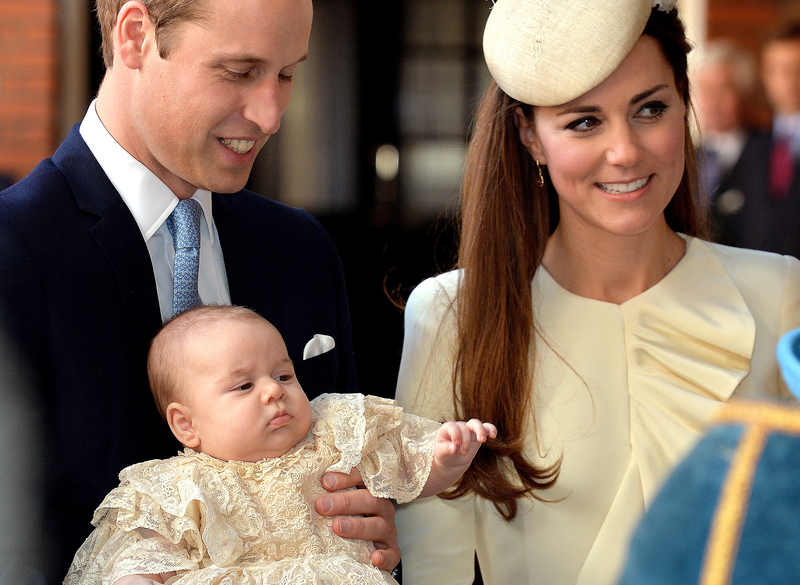 You may remember the frilly ivory gown that Prince George wore to his christening in 2013. That gown was a reproduction of the gown worn by every royal baby from 1841 to 2004. After being worn by royal babies for 163 years, the original had become too fragile to wear. As the Huffington Post reports, the original was designed for Queen Victoria's eldest daughter in 1841 by a Scottish coal miner's daughter named Janet Sutherland. Sutherland was dubbed "Embroiderer to the Queen" for her creation, which would be worn by 60 royal children. Not like the British aristocracy needs to scrimp and save, but they really got their money's worth on this thing. After a certain point, the royals realized that antique garments and babies (who tend to spit up and be generally messy) don't really mix. "Dressmaker to the Queen" Angela Kelly fashioned a replica of the ancestral christening gown in 2004, which is what we saw George wear at his own christening. Kelly has served as Queen Elizabeth II's atelier, milliner and assistant since 2002. Some of her other notable works include the Queen's ensemble for Prince William and Kate Middleton's wedding. Considering that this is a brand spankin' new gown (well, relatively), and that the royals are apt to use hand-me-downs, we can guess that the new little princess will likely don the Angela Kelly-designed baby dress.